One of the most popular reasons why people choose to volunteer abroad is to become a part of the community. Living in community gives you a different perspective of how people live in another country. You learn about their everyday struggles, their culture and day-to-day lives. By partnering with several community based organizations, our Ugandan volunteers are so much involved with the local communities. In Lake Mburo national park, an eco-friendly camp site was established to have several volunteers have hands-on experience while working on several conservation projects. Volunteers can also spend their free time going on safari, playing games, cooking with their family, helping with house chores, sharing meals, and lots of dancing. For someone who has just left school or college, planning for a Volunteer program in 2019 is an excellent choice for your career. Most employers will consider those that have had a volunteering experience either at home or abroad. Volunteering proves that you are more willing to care for the community and try out new things in different locations. A good example will be if you volunteer to work abroad teaching or in a hospital. This clearly motivates your employer that you are great person who loves helping out. Most real life experiences are learnt while volunteering abroad in different communities. 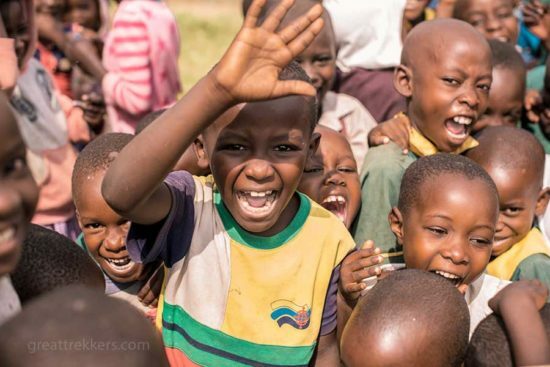 In Africa, the Great Trekkers Safaris helps people find short term and long term volunteering placements in different areas. 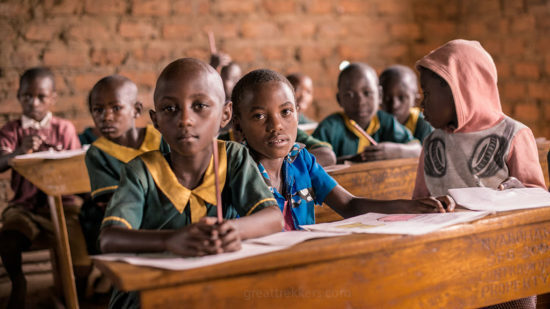 One of them is teaching in the local community schools in Ugandan villages which is a great experience and way to learn real-life experiences. Other opportunities get you hands-on, like in wildlife conservation research program, Agricultural and school exchange programs, hotel and home stay plus many others. Volunteering is a better way to pick your passion then get to live your dream in reality. Volunteering abroad or at home gives you a chance to live within the communities that you’d love to make a change. This opportunity helps you start something that will make you feel like you are contributing so much to making a difference in someone’s life. Without the Volunteers who have sacrificed in making a world a better place, we wouldn’t be this far. Volunteering Opportunities abroad especially those in Africa allow you to travel with a purpose. Most volunteers have had a chance to create an impact to local people by empowering them. This has motivate even those who were not aware of such programs to travel with a purpose of empowering more and more communities. When you Travel to Africa for a Volunteer opportunity, you will most likely learn a new language. Studies show that this is also another way to boost your brain power and develop your ability to multi-task. One of the best experiences while you volunteer abroad is opening up to learn a new culture that has got a different language, of course the food comes along. This self-discovery opportunity is un-matched and will make your program exciting. In some places, Volunteers are normally given introductory lessons to local languages during their orientation. By trying to understand a new language, we get to learn the heritage that comes with it. It’s much proven that Volunteers are happier and healthier than non-volunteers. In the old days, when one has retired from most hectic jobs, volunteering is very beneficial for one’s health since it involves exercising and eating well. The Older people who volunteer remain physically better, psychological well and live longer. Health and longevity gains from volunteering come from establishing meaningful volunteer roles in the early days & continuing to volunteer once you arrive in your post-retirement years. I would love to volunteer with you.